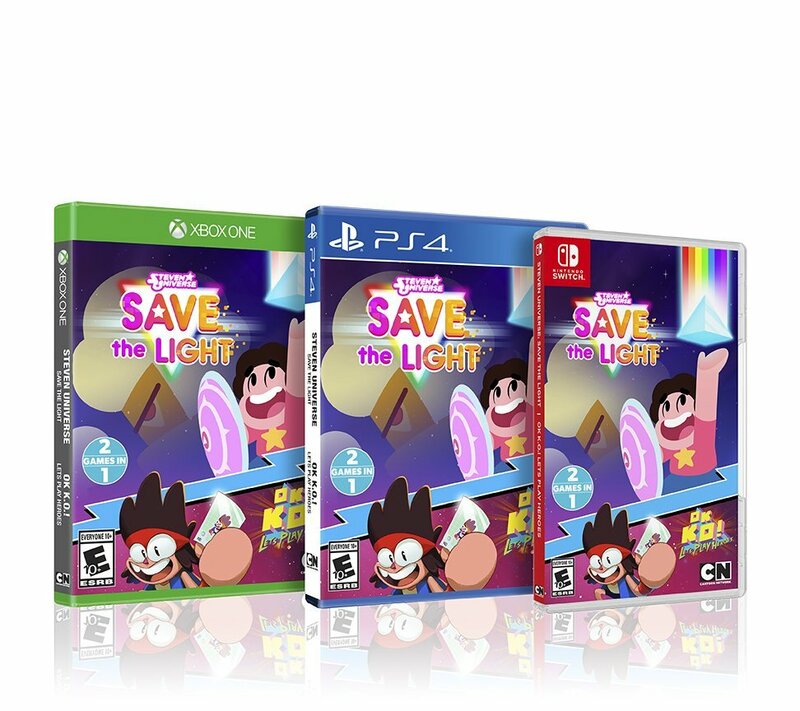 Beach City Bugle: Save the Light coming to Nintendo Switch! Yes, the long anticipated port has arrived! Or at least, it will on October 30th. In the meantime, if you have an Xbox One or PS4, you can still get the game right now! But that's not all! BONUS DEAL! You get two games in one. You'll also get OK KO! LET’S PLAY HEROES. Actually, you can buy and download each game individually if you want, but seriously, you should pick up both. And catch up on OK KO while we're in SU hiatus. One more piece of news, the Xbox One and PS4 versions will be getting physical copies, available at retail stores (along with the newly announced Switch version). So dust off your game stations!